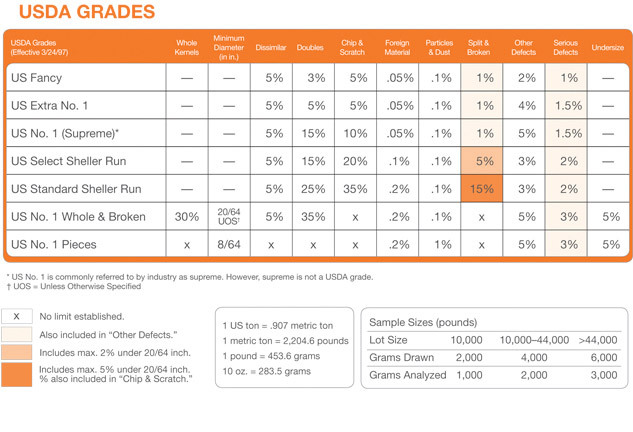 Determining the Best Quality Almonds. 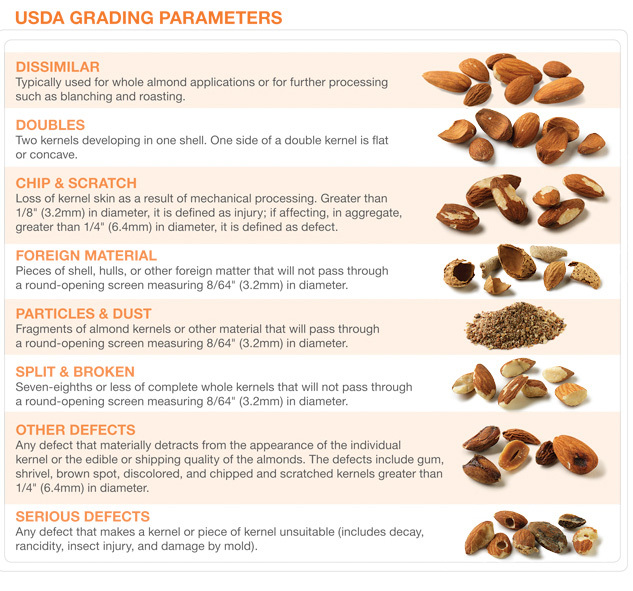 USDA Grades for natural almonds are voluntary minimum standards. 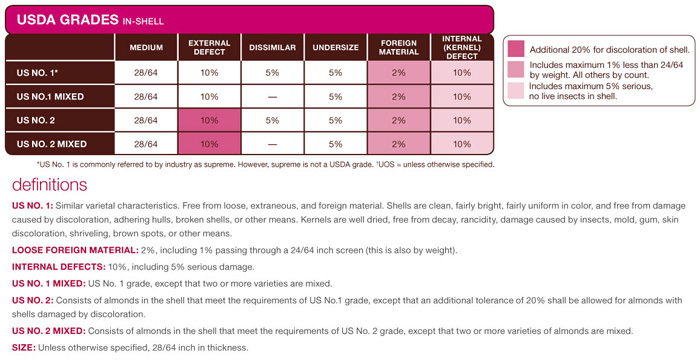 The almonds industry can supply almonds to customers’ unique specifications, both in term of size and grades, based on the intended applications.